TEACHING « THE BRYCE IS RIGHT! – How the media controls the image of conservatives. Respect elders and those in superior position. Adhere to the laws, rules and regulations of the land. Help, aid, and assist all persons less fortunate, as I am able to. Not wrong, cheat or defraud another. Work faithfully, professionally, and industriously for those employing my services. Respect the dignity of the human spirit and treat people equitably. Greedy; consumed more with the almighty dollar than people. Insensitive to the needs of others. Possess radical views on gun control. Inclined to create mayhem in order to overthrow the government. * Chris Matthews of MS-NBC blamed the “radical right” for the bombings. * Lawrence O’Donnell, also of MS-NBC claimed the National Rifle Association (NRA) helped the bombers get away. * Stephanie Johnson, a public affairs representative with the U.S. Forest Service blamed the Tea Party for the bombing. Other liberals also made accusations that conservatives were behind the April 15th bombings. They were all undoubtedly surprised to learn the suspects, Dzhokhar and Tamerlan Tsarnaev, were born in Russia, of Chechen descent, and believed in Islam. Although they had immigrated to the United States as children, and were permanent residents (only one of the brothers had become a naturalized citizen). In other words, the media was disappointed the attack was caused by outsiders as opposed to conservatives in this country. Since the 2012 national election, the media has been insisting the GOP needs to change in order to attract voters of all nationalities. To do so, they suggest conservatives change their views on such things as marriage, immigration, the national debt, entitlements, etc. This would mean a dramatic change in their moral values as expressed earlier, something which is virtually difficult if not impossible for anyone to do. Knowing this, the media will likely continue to villify the character of conservatives thereby tainting their image to the public. I believe they now call this “branding” or perhaps “brainwashing” would be more appropriate. An honest dollar for an honest day’s work. That a person must be given the opportunity to try their hand at any business venture they are so inclined. That each person needs to lead an honorable and worthwhile life. Unveiling the true moral values of conservatives could work wonders in terms of demystifying what they truly represent, something the media already knows and is desperate to refute. Frankly, conservatives are not nearly as frightening as they are portrayed by the press. Most probably have the same values as you do. NEXT UP: THE DECLINE OF CRAFTSMANSHIP – They’re are getting harder and harder to find. LAST TIME: WHAT THE HECK ARE THEY TEACHING? – Politics in the classroom. WHAT THE HECK ARE THEY TEACHING? – Politics in the classroom. Florida Atlantic Stomp on Jesus – (March 27th) – a Junior at Florida Atlantic University was suspended for refusing to stomp on a piece of paper with the word “Jesus” boldly printed on it. The incident was part of an exercise in a class for Intercultural Communications. The incident became so controversial and garnered so much exposure, Florida Governor Rick Scott made inquiries of the university’s chancellor. Whether the word had been “Jesus” or “Mohammad,” the exercise had questionable intent and, according to university officials, it will not be used again. Had the Junior not objected, the incident would have likely been buried and the instructor not suspended. 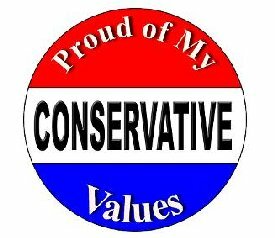 Wisconsin teen says teachers bullying him over conservative views – (March 28th) – An Appleton, Wisconsin high school freshman published a log of the bullying he received from his teachers for his conservative views. The log chronicled the verbal abuse he took from teachers over a three year period, at three different schools, starting in eighth grade. Whether the student is conservative or liberal is immaterial; no student should suffer such an embarrassment. Writing Assignment at Albany High School: Explain Why “Jews Are Evil” – (April 12th) – An unnamed Albany High School English teacher in New York, issued an assignment for the students to write an essay on why “Jews are evil.” A third of the class refused to comply and brought the matter before school officials. The teacher has since been placed on leave. Dad Furious After Finding This Crayon-Written Paper in Florida 4th-Grader’s Backpack – (April 12th) – A mother and father in Jacksonville, Florida found a paper in their fourth-grader’s backpack. The paper, which had been written by their son in crayon as part of a class assignment, said, “I am willing to give up some of my constitutional rights in order to be safer or more secure.” The son and his classmates were instructed to write this expression by their teacher. The assignment infuriated the student’s father who quickly brought it to the attention of school officials. It used to be, you would occasionally hear of a story where a teacher would openly discuss their personal political views, such as the North Carolina high school teacher who yelled at a student, telling him that he could be arrested for criticizing Barack Obama, but these seemed to be sporadic outbursts. Now, it seems reports of teachers promoting their political agendas has become more prevalent, such as these five stories within a 15 day period. Back in my public High School days, the teachers never discussed politics, unless of course it was to describe the mechanics of politics in our Government classes. As students, we had our suspicions as to which teachers were liberal and conservative, but to their credit, they remained tight-lipped over politics. It’s evidently not this way anymore, as politics in the classroom has become more commonplace. As I mentioned in my eBook, “Stand Up for MORALITY,” the discussion of politics is a discussion of morality in disguise, which is normally frowned upon in this day and age of political correctness. For example, discussions about the federal debt, marriage, gun control, entitlements, etc. is not simply a political discussion; it is a moral discussion. Having teachers preach their view of morality and politics places students in the awkward position of questioning the values possessed by their parents. Fearing for their grades, students are generally inhibited to stand up for their rights. Such fear is simply unacceptable. Those students who rose to refute their teachers have displayed great moral courage as they faced retribution. I wonder how much of this could be avoided with just a little discipline, such as school uniforms (for both students and teachers alike), and a little respect for both sides. It’s a shame we cannot seem to discuss morality more openly and respectfully. Then again, someone always seems to have an agenda. NEXT UP: BRANDING THE MORAL VALUES OF CONSERVATIVES – How the media controls the image of conservatives. LAST TIME: IN PRAISE OF SISTERS – The unique relationship between a brother and a sister.